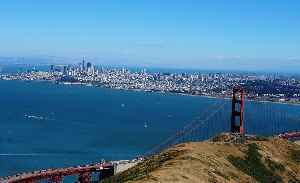 San Francisco, officially the City and County of San Francisco, is a city in, and the cultural, commercial, and financial center of, Northern California. San Francisco is the 13th-most populous city in the United States, and the fourth-most populous in California, with 883,305 residents as of 2018. It covers an area of about 46.89 square miles (121.4 km2), mostly at the north end of the San Francisco Peninsula in the San Francisco Bay Area, making it the second-most densely populated large US city, and the fifth-most densely populated U.S. county, behind only four of the five New York City boroughs. San Francisco is also part of the fifth-most populous primary statistical area in the United States, the San Jose–San Francisco–Oakland, CA Combined Statistical Area. Lyft Inc is recalling several thousand electric bikes in its bike-share program in New York, Washington and San Francisco because of a braking problem, the ride-hailing company said on Sunday.